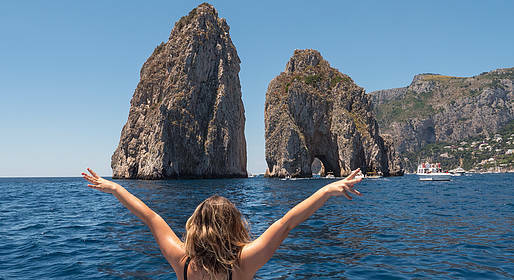 Spend a half day or full day on board a traditional Aprea gozzo boat around the island of Capri: depart from Positano, Amalfi or Praiano on a private tour for complete privacy and independence! Prosecco, cold drinks (water, Coke, beer), snacks, towels, snorkeling gear (upon request). Wc and life jackets for children and adults. There is no charge for cancellations due to weather conditions. 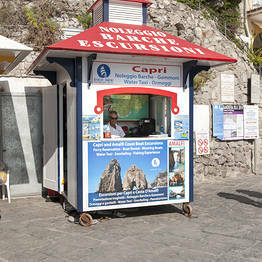 Your credit card will be charged 300 EUR of the total upon booking; the remainder is due on the day of your tour. If the tour is cancelled by the company due to adverse weather or sea conditions, you can choose a different date or be reimbursed for your deposit. Cancellations by clients are charged the deposit paid. 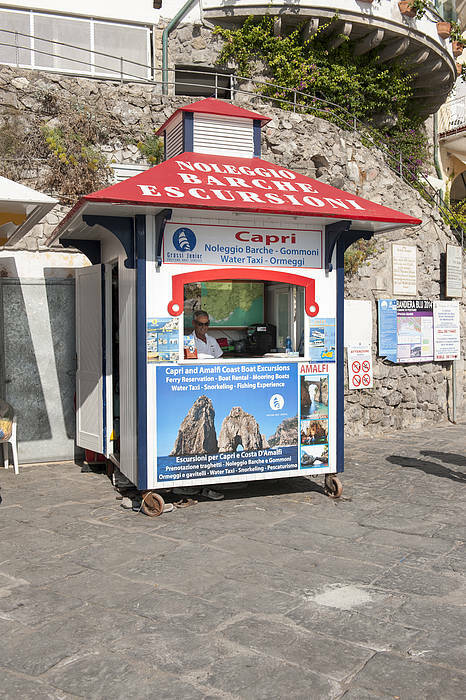 If clients depart with the tour but decide to return to Positano before the tour is finished for any reason, they will not be reimbursed. Unforgettable experience for family of 5! !